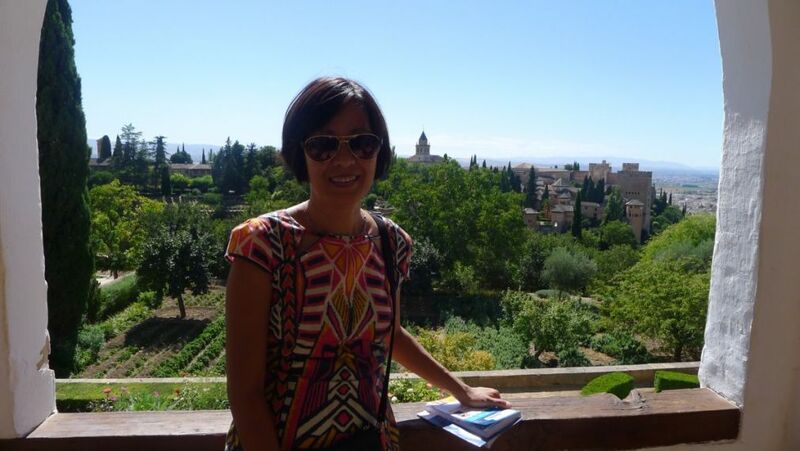 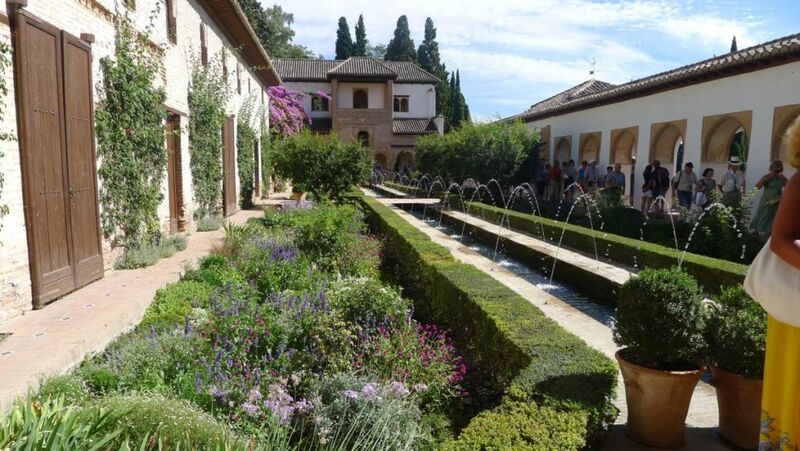 The Generalife is one of the oldest surviving Moorish garden. 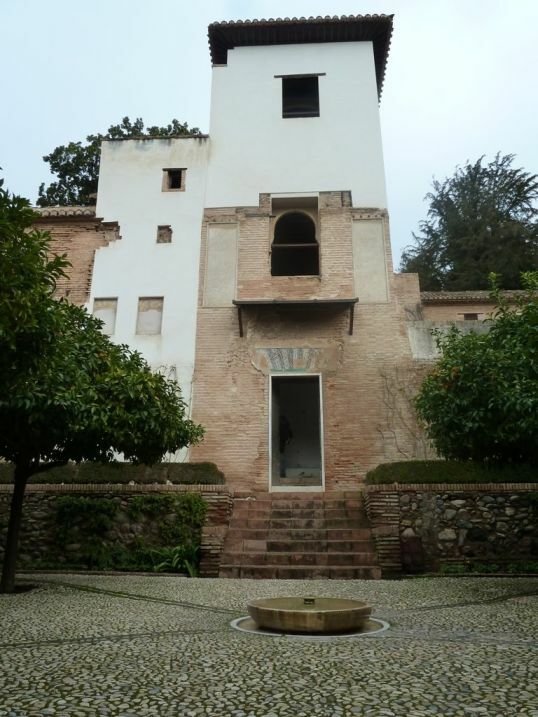 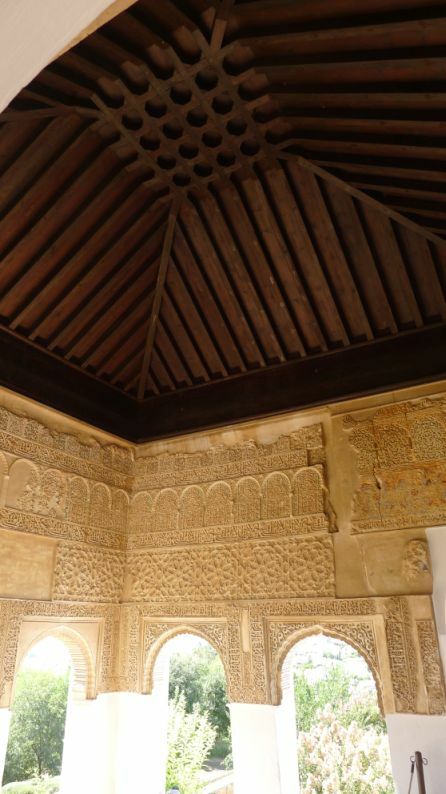 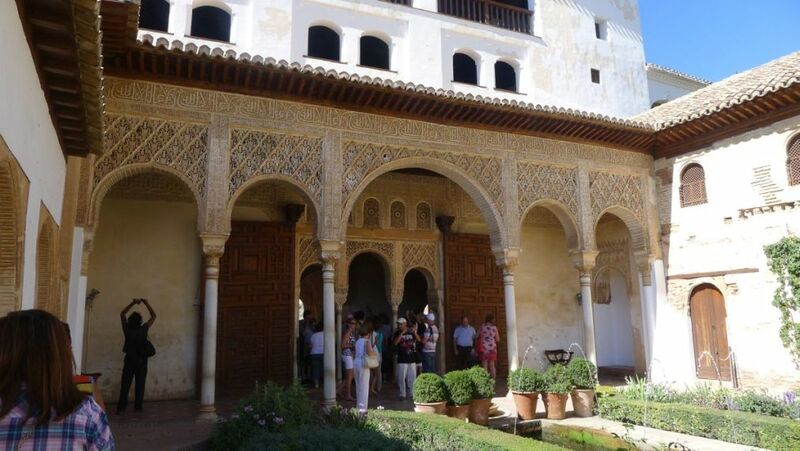 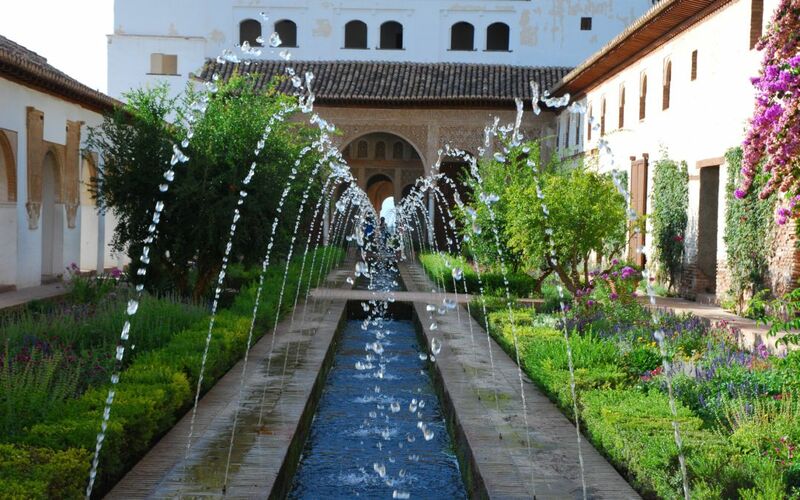 It was the summer palace and country estate of the Nasrid Emirs of the Emirate of Granada. 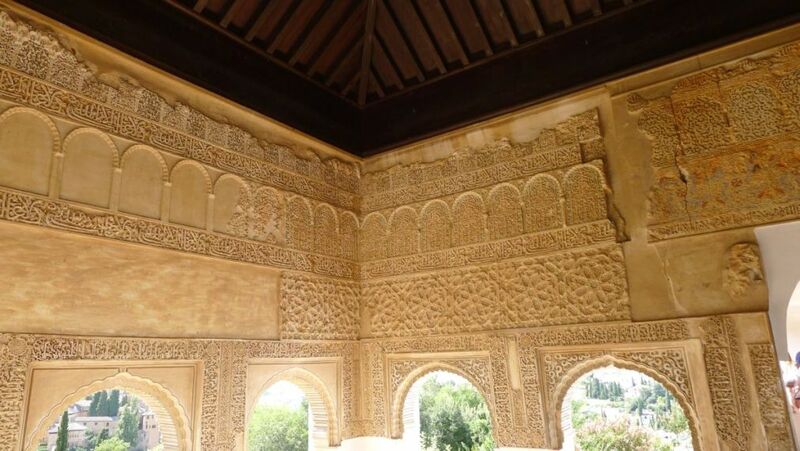 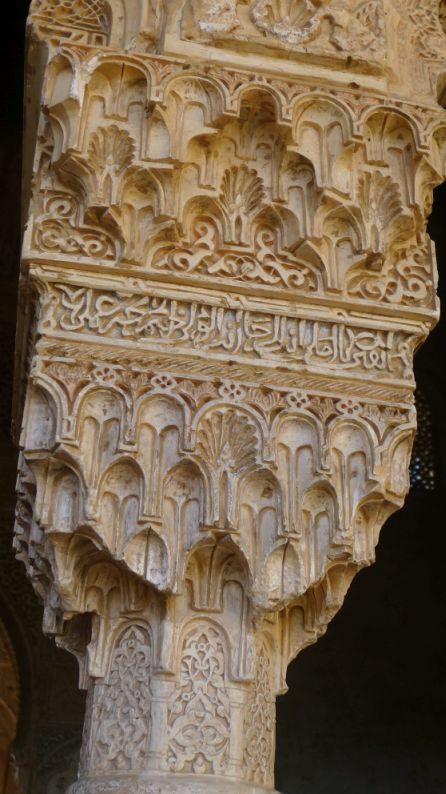 The palace and gardens were built during the reign of Muhammad III (1302–1309) and redecorated shortly after by Abu I-Walid Isma'il (1313–1324). 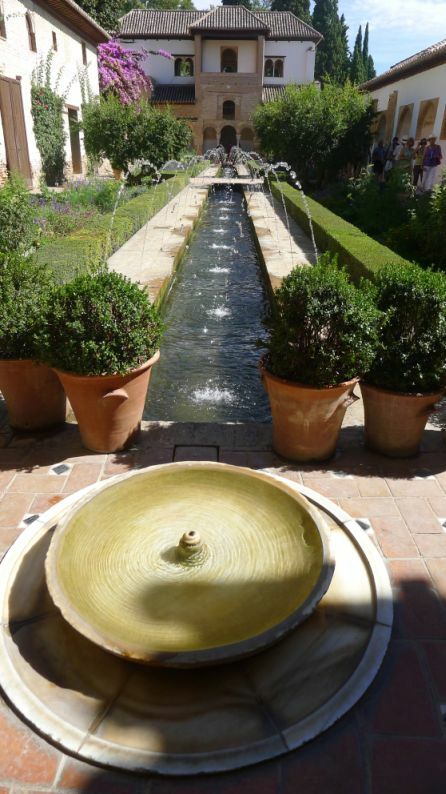 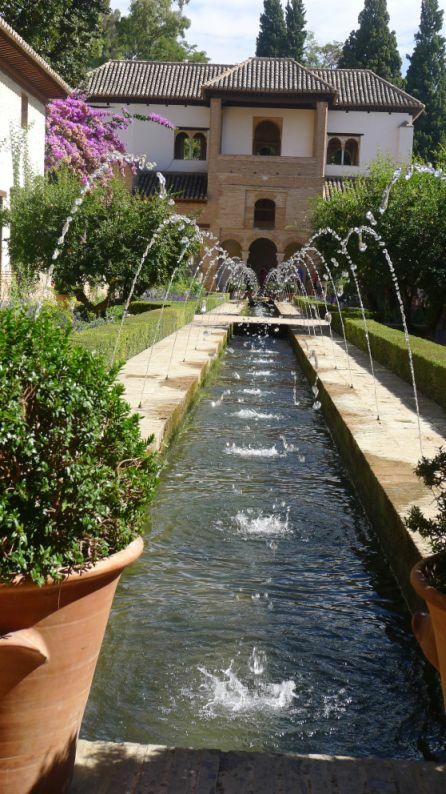 Patio de la Acequia (Court of the Water Channel or Water-Garden Courtyard). 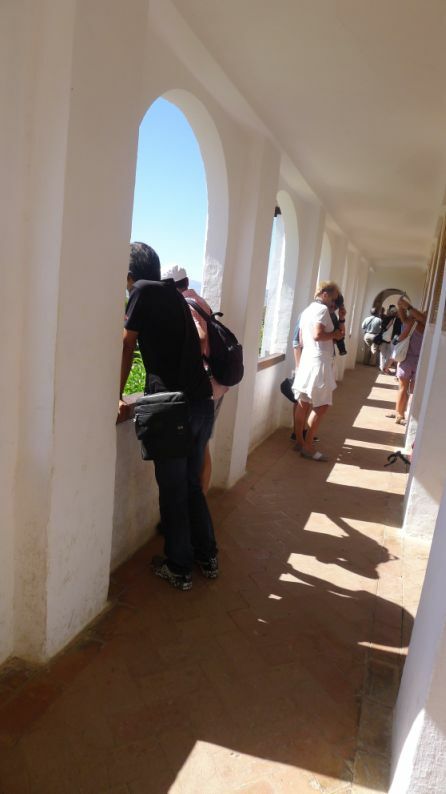 As you can see the walkway is really narrow, it can hold 2 people side by side. 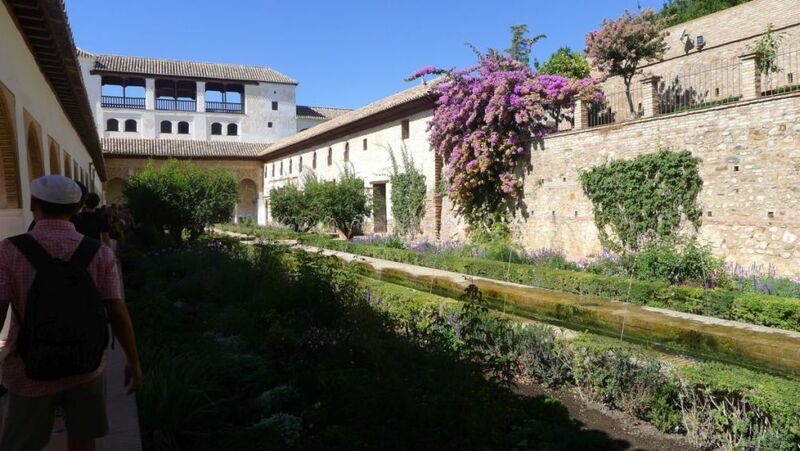 In the center of the court you can see a beautiful and relaxing long pool framed by flowerbeds, myrtle bushes, orange trees, cypresses and rosebushes. 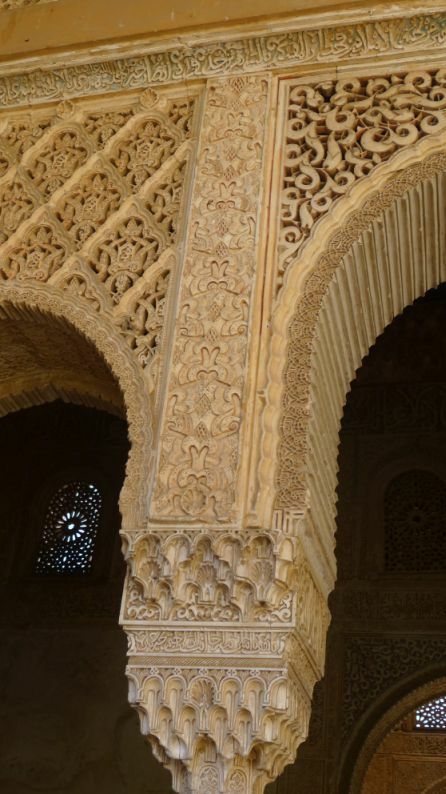 This is really beautiful to look at. 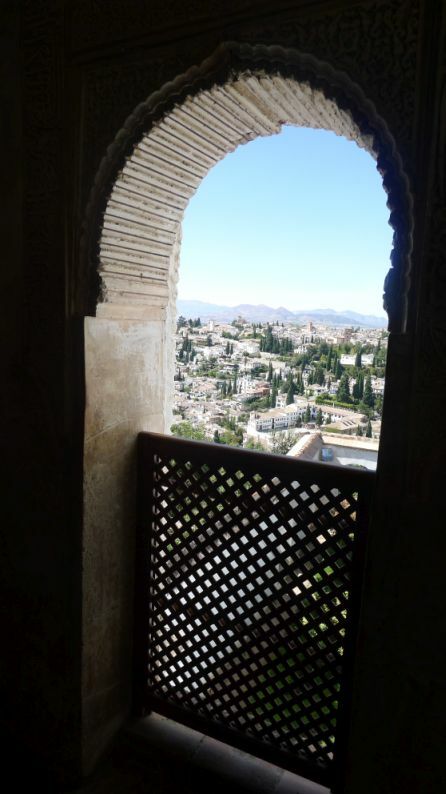 Inside the patio looking out to the city underneath. 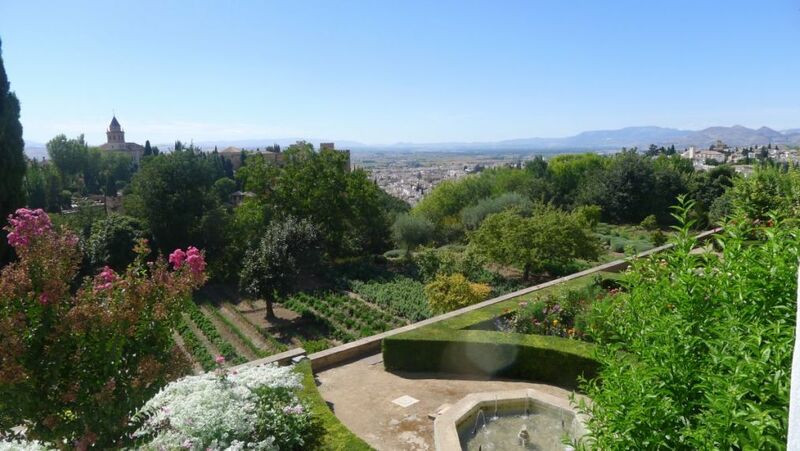 More garden to see... 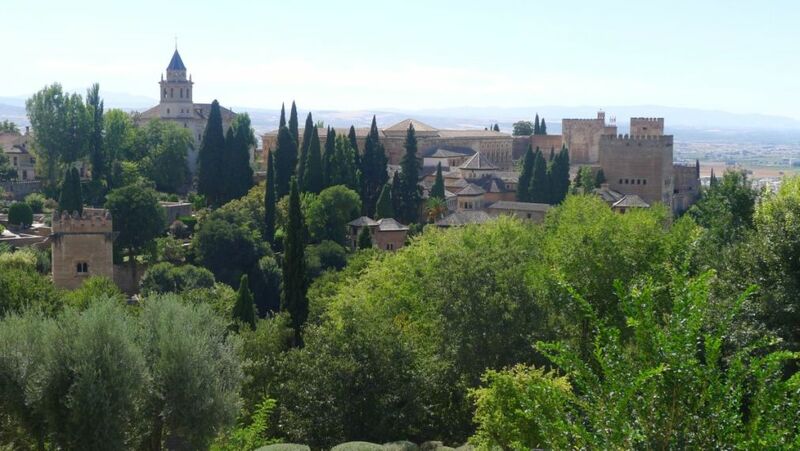 In the distance you can see the bell tower of the Church of Santa Maria (more details in the 1st page of our Alhambra visit). 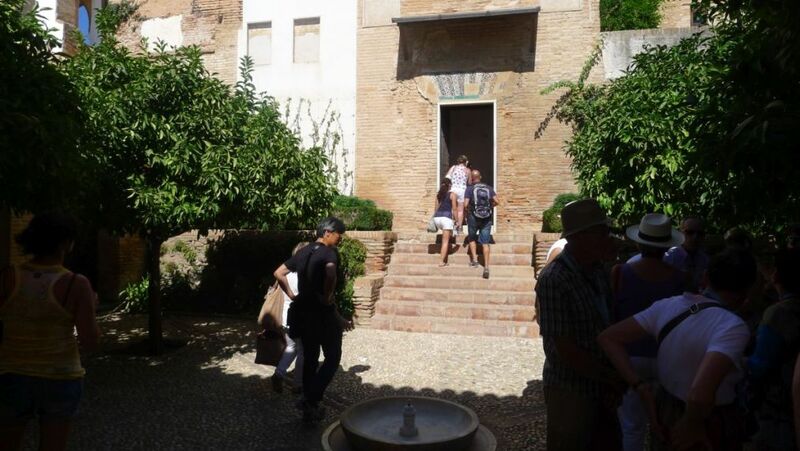 As you walk toward the palace there is a portico that lead to a hall and a tower at the back. 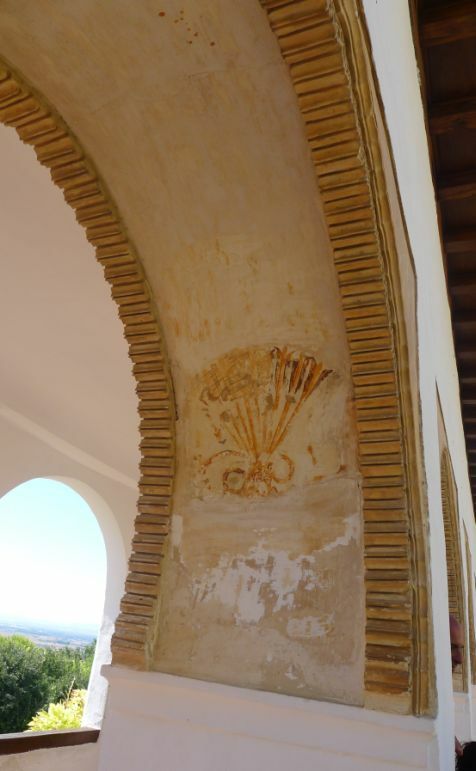 The portico has five arches and leads to a hall through three completely decorated arches. 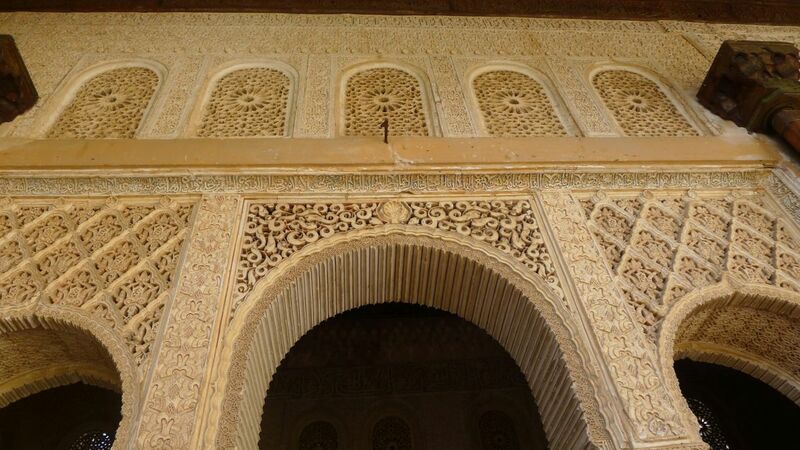 The walls has so many details. 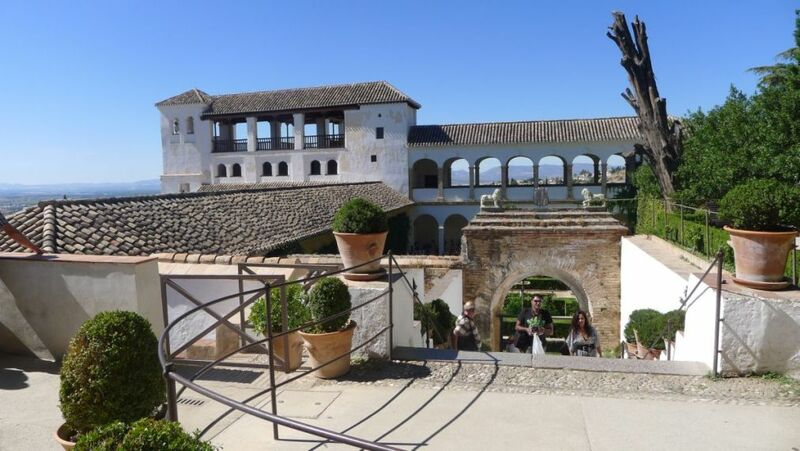 View of the Generalife Palacio exterior. 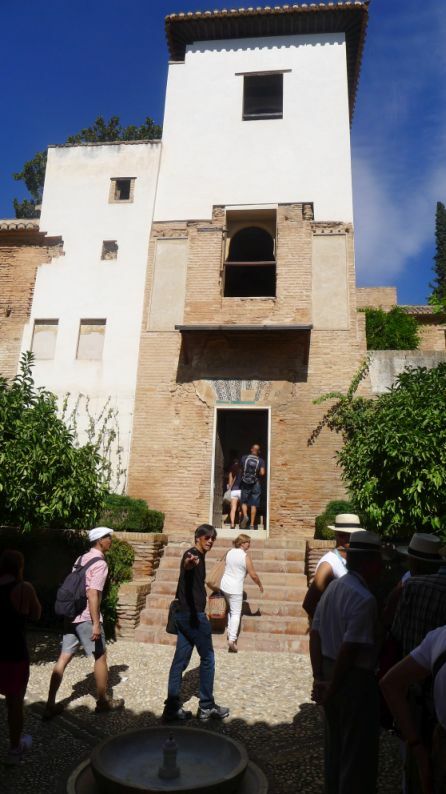 That's conclude our tour of the Alhambra.